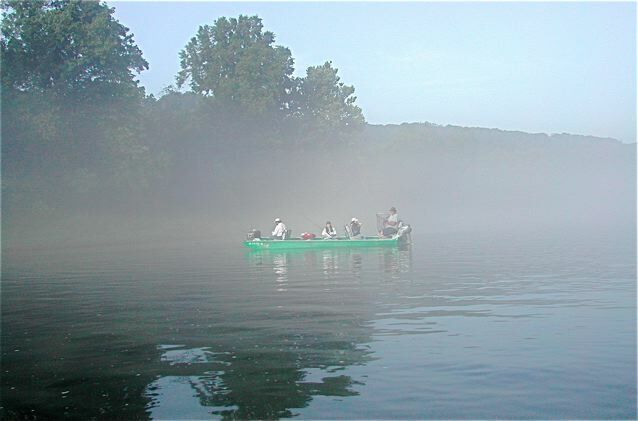 Above: Morning mist obscures anglers on the White River, Arkansas. The late-morning mist is burning off the White River, letting the people in the flat-bottomed boats see where to cast their baited hooks for brown and rainbow trout. The view for 360 degrees is the definition of outdoor relaxation: The river flows gently by, its water so clear you can see the rocky bottom 4 or 5 feet below, as well as the fish ignoring the night crawlers or plastic doodads. 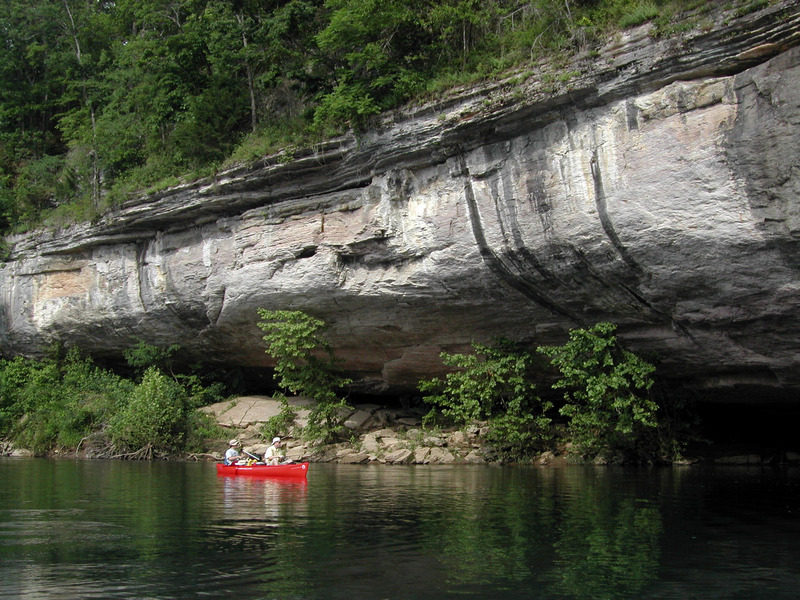 Dense stands of brilliantly green trees line the banks, except when rugged bluffs more than 100 feet high come to the water’s edge. 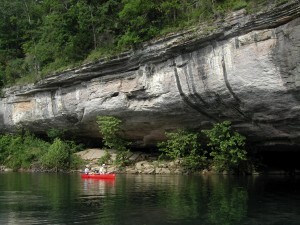 Floating and fishing on the Buffalo River in Arkansas. The only noises: the occasional comment from one angler to another, the ripple when the river crosses a shallow area, and the bird noises – alternately sweet trilling of small birds or the honking squawks of the numerous gray and blue herons that nest in trees along the shore. Canady, 34, has done it all. He grew up here in Arkansas, hunting for deer and the occasional wild pig, but mainly fishing.